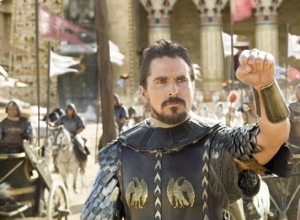 Last year two modernized biblical blockbusters came to the big screen: Noah, starring Russell Crowe in the title role, and Exodus: Gods and Kings, with Christian Bale playing Moses. Both films took so many liberties with the Old Testament version that if a bell rang every time they veered off-course, we’d all be deaf. But at least there are no fantastic rock monsters in Exodus, the superior of the two. 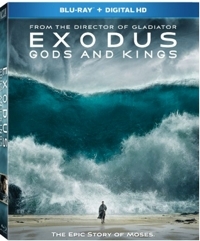 Exodus: Gods and Kings is Ridley Scott’s attempt to retell the story of Moses and the Israelites’ flight from Egypt, but it’s significantly different from Cecil B. De Mille’s The Ten Commandments, which was closer to King James. Much of the language is contemporary, with liberal use of contractions—something my 17-year-old son assures me will go a long way toward appealing to the younger generation. So you have the Pharaoh saying things like, “Everybody but the Viceroy, OUT!” and another ancient Egyptian saying, “I didn’t say exiled. I said DEAD.” In Midian, Moses says, “Your daughters invited me here for food. They didn’t tell me there was going to be an interrogation”—a word that didn’t exist until the late 14th century.